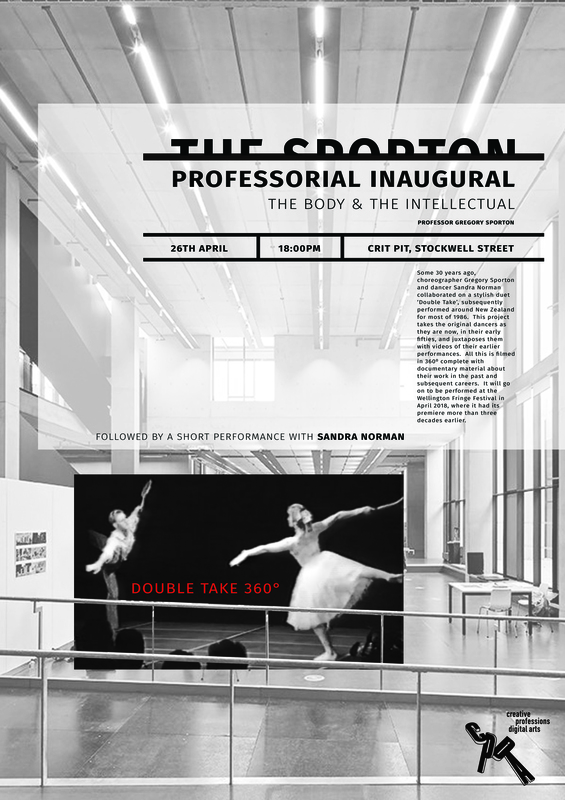 Some 30 years ago, choreographer Gregory Sporton and dancer Sandra Norman collaborated on a stylish duet ‘Double Take’, subsequently performed around New Zealand for most of 1986. 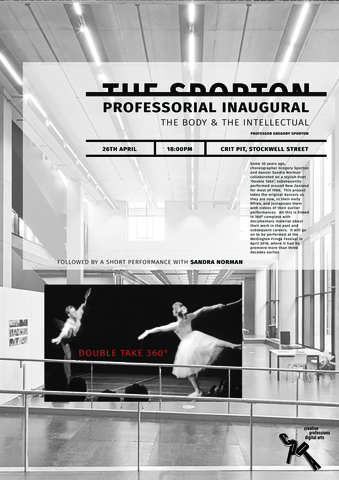 On the 26th of April 2017, the original dancers as they are now in their early fifties, rework the Double Take choreography alongside footage of their earlier performances for The Sporton Professional Inaugural Lecture. 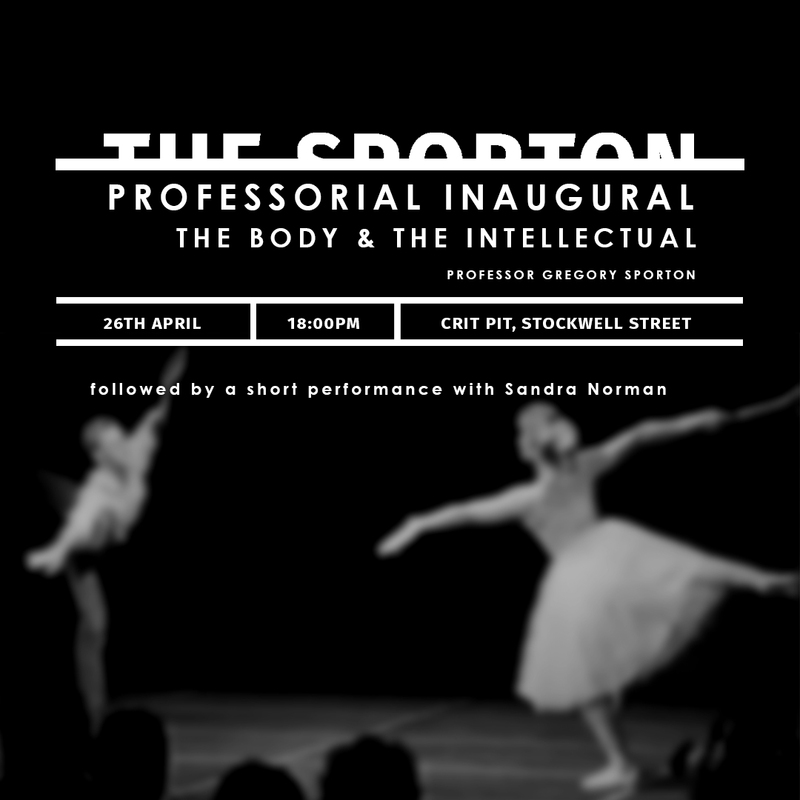 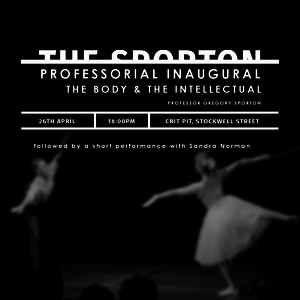 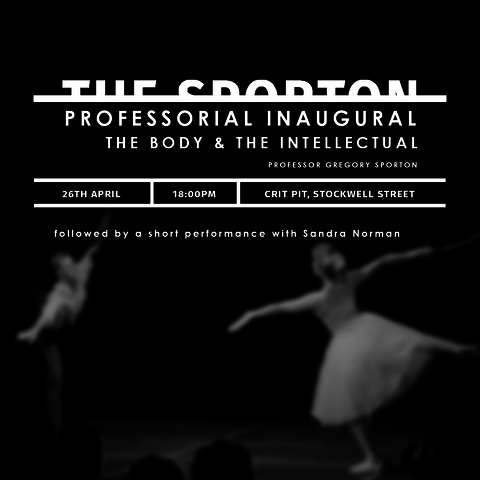 The performance took place in the Crit Pit of the Stockwell Street building, following a lecture on 'The Body and The Intellectual' from Professor Gregory Sporton. 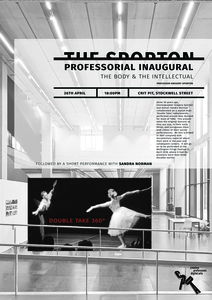 There are a range of professional video sources currently being edited that will be uploaded as a record, including a 360 degree film made at the Culture Space in Canada Water.